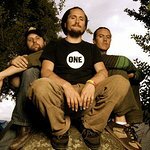 The John Butler Trio supports the GreenNotes program. The band support Close the Gap, which fights for equal health care for Indigenous people in Australia. One dollar from each sale of their album One Small Step will go to Oxfam and the Close the Gap Campaign. John Butler Trio appeared at the Wave Aid concert in Sydney to raise funds for those living in areas affected by the 2004 Tsunami. Google trends for "John Butler Trio"